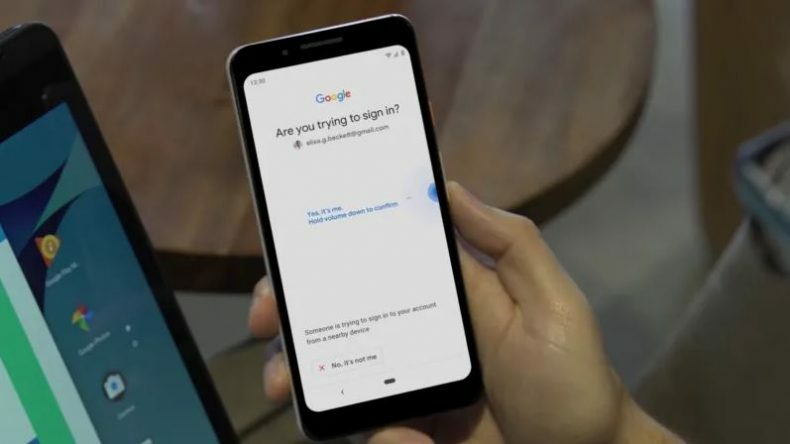 In an effort to make Google account’s security more effective, the technology giant has introduced a new way to turn your Android device into a physical security key. This means that without purchasing a separate security dongle users with the help of their Android devices can confirm their identity when logging into a Google account. The only requirement for using this feature is to have a Nougat 7.0 or later versions of the Android software on your devices. As per Google’s blog post, to enable this security feature, users first have to sign-in to their Google account’s on their Android devices. After signing in your google account, open Chrome browser on your Bluetooth-supported Windows 10 PC, macOS or Chrome OS, and open the two-step verification settings tab from the browser. In this tab, you will be asked to click the “Add security key” option. Make sure that the Bluetooth option on both of your devices (your mobile and PC) is turned on. After clicking the add security key option you can select your Android device as a security key from the list of available Bluetooth devices. It is important to note that this physical security feature is similar to that of Google Prompt. The main difference between the two is that Google prompt relies on an internet connection between your Android device and your PC. But this security feature uses a Bluetooth connection to facilitate a secure login, which also means that your Android device must be in close proximity with your PC. For now, the Bluetooth security feature is in its beta face and can only be accessed by Android users who use Chrome. It is unclear as of now that whether Google will bring this support for web browsers other than Chrome.